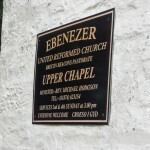 Ebenezer Chapel is a little place of worship, which stands isolated some one and a half miles from the village. More information can be found on the Brecon Beacons Pastorate website. 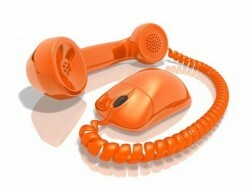 Services are held fortnightly on the 2nd and 4th Sundays of the month at 3.00pm. One of the highlights of the year is the renowned annual Eisteddfod held each July. This is followed by an incredible evening of music when a Songs of Praise is held in the Chapel, with competitors from the previous day – poets, soloists and duetists, sharing their talents with the congregation. 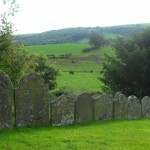 The Chapel itself has no ancillary accommodation and so the village’s community hall is used for many events. Turn left onto the B4519 from the B4520 (Upper Chapel to Builth Wells road), signposted ‘Garth’. In a few hundred yards there’s a rough lane on your left, ignore this and take the first surfaced lane on your left. 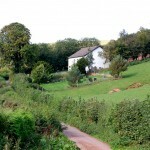 It is marked as a no-through-road and bears the farm sign ‘Pantycelyn’. Continue to follow the lane down go through the farmyard and you’ll see the chapel ahead on your right. Brynbont Chapel is a Presbyterian chapel situated in Pontfaen Village. A very successful Harvest festival was held recently where we were joined by members and friends of Brecknock YFC Federation. It was lovely to see the Chapel full to capacity with so many young people in attendance. The Family Christmas Service will be held on 1 December 2013 at 2.00 pm and will be led by the Minister, Reverend David Jenkins. Tea to follow, everyone welcome. Lower Chapel, Merthyr Cynog and Pontfaen alternate services. All services begin at 2pm. We will post the 2014 schedule as soon as possible. 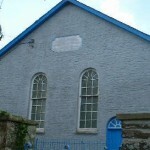 Siloh Chapel is a Calvinistic Methodist Chapel situated just adjacent to the road from Upper Chapel to Merthyr Cynog. The chapel has recently enjoyed a refurbishment and proudly reopened on the 17th November 2013. The opening service was a real success and members from across the parish joined together to give thanks and enjoy a wonderful tea. The Minister is Reverend David Jenkins. As previously mentioned- Lower Chapel, Merthyr Cynog and Pontfaen alternate services. All services begin at 2pm.